Biggby Coffee, is a local coffee franchise in Allen,Texas.They exist to love people, believe coffee brings people together, and everyone deserves to feel special. Biggby is a great place to grab a great cup of coffee, hang out with friends, or have a one-on-one business meeting. The owners are both active in the day-to-day and isn’t rare that one of them would greet you with a smile and a warm cup of coffee. 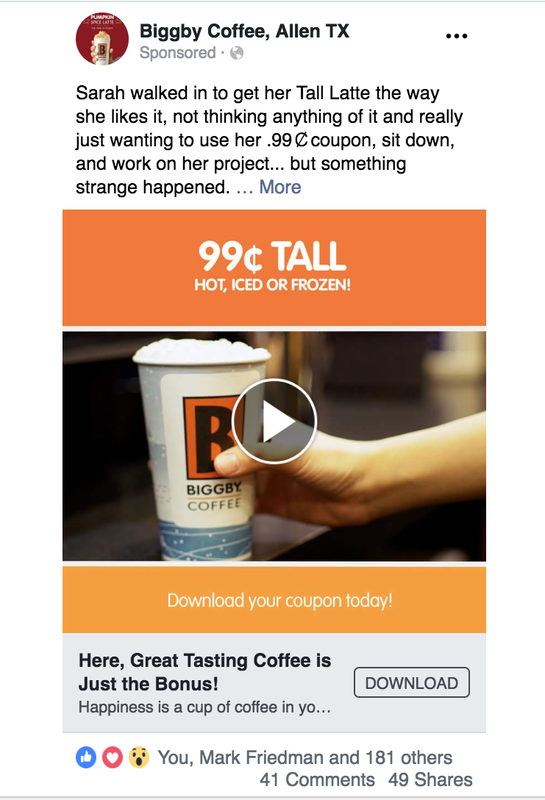 Biggby has never ran local online ads at this location and when we met with the owner we talked a lot about print advertising and how that was working for them. There were some successes, but they couldn’t track results other than actual sales. The goal for this campaign was to not only get first time customers, but collect email addresses for future campaigns and send offers via email to nurture relationships. The ad ran twice in the course of 45 days during the late spring of 2018. Our strategy was to use a video that told a story of amazing food, happy people, and warm connections. We made a video with no sound, but used on screen text to add words that were descriptive of the experience. We focused on the hottest traffic first, then moved to warm, and finally to cold traffic. 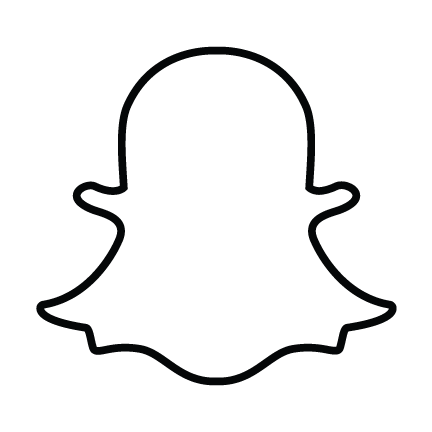 This allowed us to build social proof and eventually dropped the cost per lead to less than a dollar. The final piece we implemented was retargeting for those who watched 50% of the video and did not make it to the thank you page and those who went to the landing page, but not the thank you page.